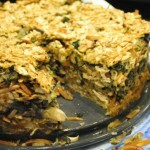 This recipe is from Judy Zeidler’s ‘The Gourmet Jewish Cook’ that I altered only slightly. It is one of my favorites. 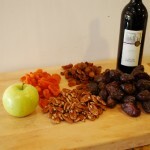 When I cook for the Passover Seder I love to include this dish since one of my principles for easy entertaining is;always serve two main courses, one poultry, and one red, like beef or lamb. Many members of the family as well as guests seem to be doing alternative diets lately. Some do not eat beef, lamb, or veal for various reasons. If you are only going to serve one choice , these hens are beautiful. 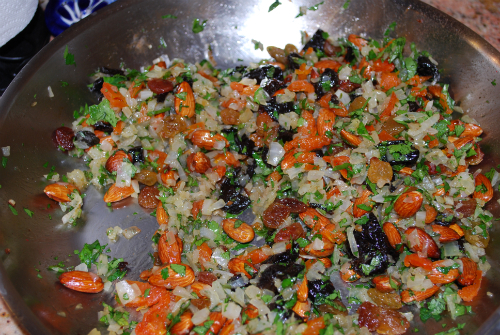 The seasoning and the stuffing give the dish a very Sephardic taste. 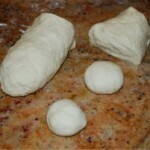 They make a spectacular presentation, are easy to plate and serve, and go great with everything. 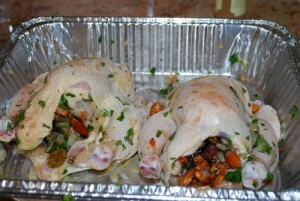 The moist tender chicken is a tasty contrast to the savory sweet filling of onions, sticky fruit, and crisp almonds. 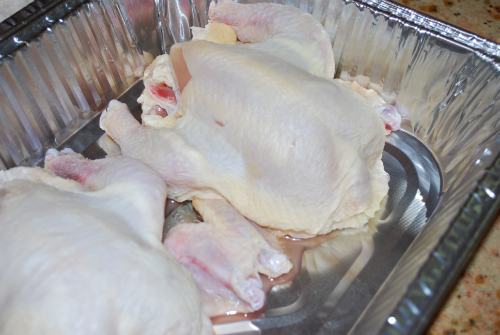 Wash and clean out your hens, making sure to check the cavity for any remaining or giblets or other things. 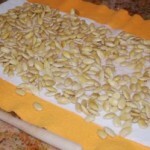 Pat them dry and place in the roasting pan. 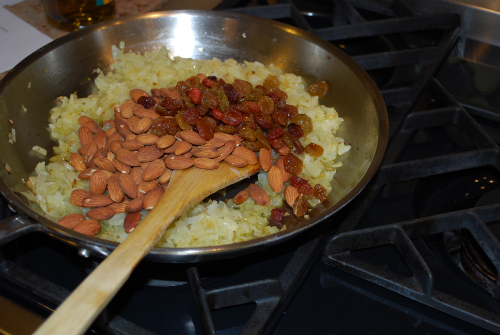 To make the stuffing, heat a large sauté pan and add the olive oil to the hot pan. Add the diced onions and sauté until sweet. Season the onions with salt and pepper. 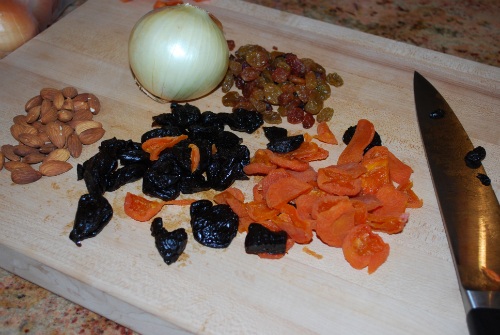 Add the apricots, prunes, almonds, raisins and salt and pepper to taste. Stir in the cinnamon and allspice. 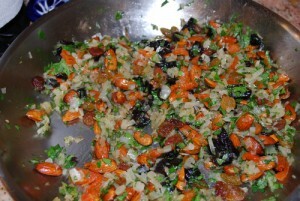 Sauté for another moment and then turn off the heat and add the mint and cilantro. Cool the stuffing. 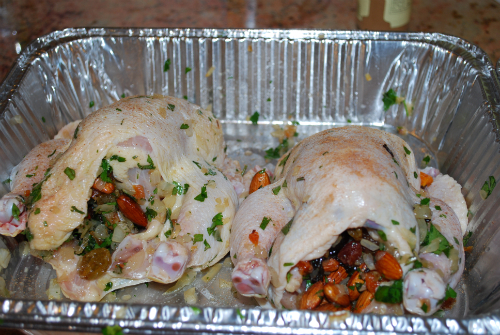 Fill the hens with the cooled stuffing and place them in a large open roasting pan. Roast at 400º for about one hour to one hour and a quarter. They should be dark gold and crispy. To serve, cut the hens in half or serve whole depending on the size. 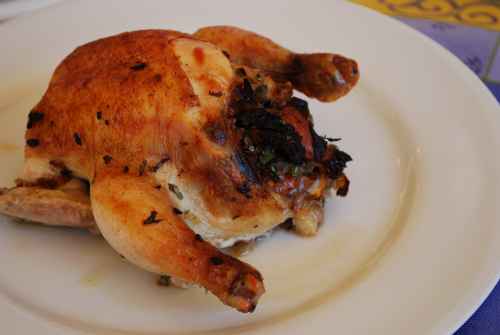 If you can find birds small enough, I like to serve this dish plated with a couple of vegetable side dishes. This recipe is good cold the next day for lunch.